Dr. Deirdre Harrington is a keen cyclist. She is also the academic lead for Leicester Changing Diabetes and Lecturer at the University of Leicester. Deirdre met Sam Brand and Brais Dacal at Ride London and knew she needed to link Team Novo Nordisk with Leicester Changing Diabetes activities. 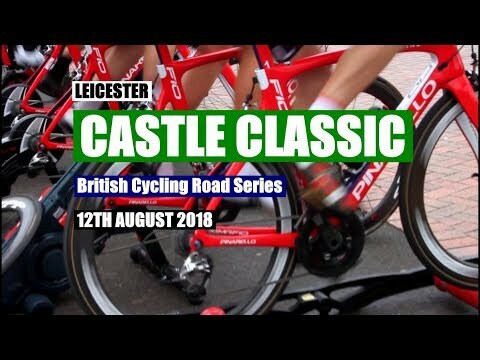 The recent Leicester Castle Classic and Let’s Ride Leicester event, which took place on Sunday 12 August, was the perfect opportunity to bring Team Novo Nordisk to Leicester. 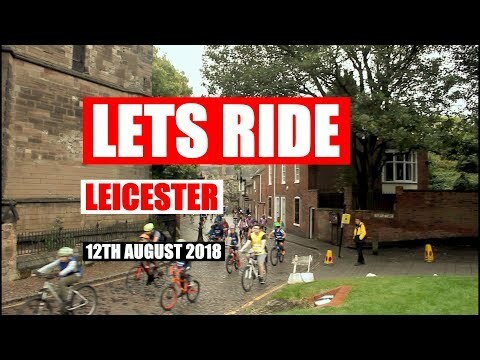 The annual event, organised by Leicester City Council and HSBC-UK and British Cycling as part of the Ride Leicester Festival, saw the closure of main city streets so thousands of citizens could cycle the 6.5-kilometer route across the city. The Leicester Changing Diabetes team, accompanied by the mascot Billy the Bull and Team Novo Nordisk’s professional cyclist Sam Brand and ambassador Brais Dacal, used the opportunity to chat with as many people as possible to inspire, educate and empower. Although Leicester Changing Diabetes focuses on the prevention and management of type 2 diabetes, the message that Team Novo Nordisk shares around healthy lifestyles, exercise, and achieving dreams with a chronic condition was an important message for the people of Leicester City. The weekend began with Sam and Deirdre doing a radio interview with BBC Radio Leicester. Brais attended the Castle Classic British Cycling support races to present awards to the youth and women’s race winners. On Saturday evening, Sam, Brais, and Billy visited a summer camp for children with type 1 diabetes and their families to give an inspirational talk about following your dreams while living with type 1 diabetes. Under those conditions, the lads might have been happy to be spectators, but they still checked out the cobbled sections. Sam and Brais were interviewed on the stage and Sam presented awards to the team winners. The main race: Let’s Ride! Then for the main event, the HSBC Let’s Ride closed road cycle. Sam and Billy joined Billy the Bull and some other mascots to send some 10,000 cyclists of all ages and abilities off on the streets. While cycling the route, the lads rode through Leicester City FC stadium, stopped to chat to children and coaches practicing British Cycling Go Ride cycle skills, and met with families at the HeART zone. Leicester – a bike-friendly city in the making? The city is making in-roads at being a bike-friendly city with increased cycle lanes and a sizable investment in cycle skills training for children, women, those with disabilities and skills for those wishing to take cycling more seriously. The city also has 13 outdoor gyms. All of this was on show at various check-points on the cycle route. Since officially launching the Cities Changing Diabetes programme earlier this year, in a partnership between Leicester Diabetes Centre (LDC) and Novo Nordisk UK, the Leicester Changing Diabetes team has been busy working alongside stakeholders in the city including the four professional sports clubs, faith centres and workplaces who are all committed to raising the issue of urban diabetes under the banner “Leicester Changing Diabetes”. The Leicester Changing Diabetes team wishes to thank Sam, Brais, and Billy for being so energetic and to Anne from Novo Nordisk UK for helping make the day happen. Stay tuned!